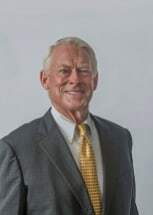 Steve has over 35 years of experience working with a broad cross-section of industries and management teams in his practice areas of Employment and Labor, Corporate and Transactional and Sports Law. He provides sound and practical legal advice to his clients and proactively interacts with management teams in some of the most critical aspects of their businesses. He has provided numerous management training and civic group presentations on employment and sports law issues. He also serves as a Rule 31 Listed General Civil Mediator and a AAA Arbitrator. Prior to joining the firm, Mr. Kramer served as Vice President of Human Resources and General Counsel for Asahi Glass North America from 1990-2002. In addition to his responsibilities over HR and Legal, Mr. Kramer managed the Quality (ISO/TS16949) programs at AGC Glass N.A. He was in private practice for 10 years before joining AGC. In his private practice, Mr. Kramer has counseled many business through a wide range of general corporate legal issues related to acquisitions, reorganizations, mergers, joint ventures, strategic planning and executive restructuring. Received Boys Club of America "Man and Boy Award"